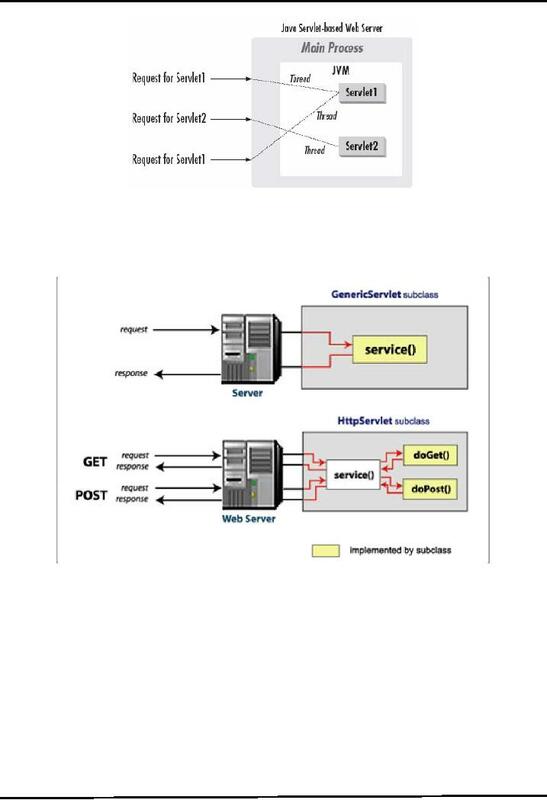 lifecycle of a typical servlet. 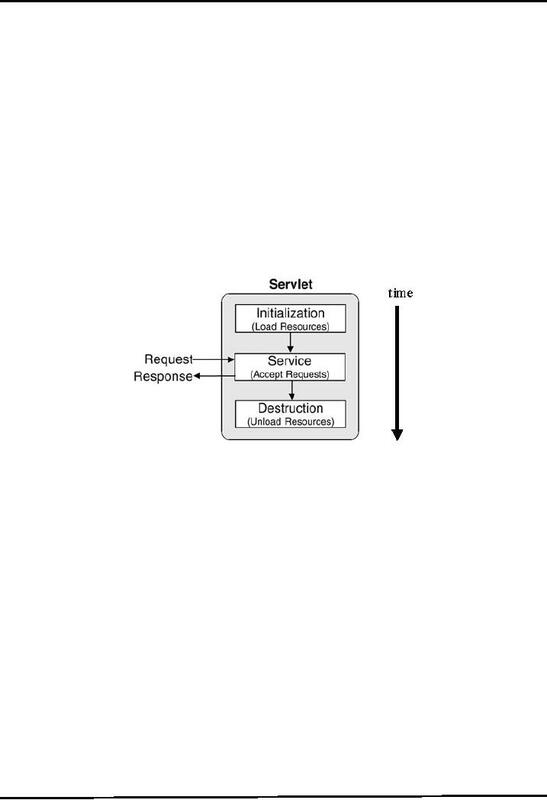 A servlet passes through the following stages in its life. (loading of resources, setting of parameters etc) just as the init() method of applet. constructor in a normal class. this servlet can only serves the HTTP type requests. 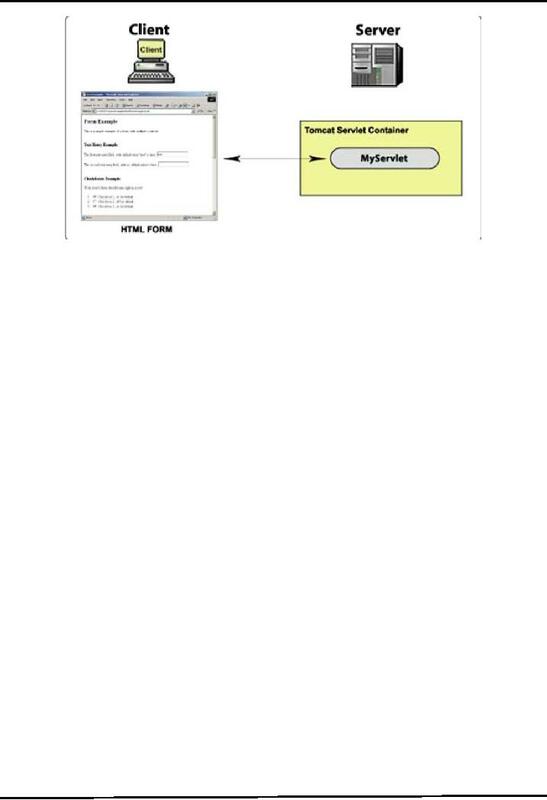 A Servlet is constructed and initialized. The initialization can be performed inside of init() method. instance is unloaded from the server. response accordingly. Finally, the servlet is destroyed and unloaded from web server. extracts these specific parameters and echoes them back to the browser after appending "Hello". important to note that tomcat server bundled with netBeans® runs on 8084 port by default. Let's have a look on the HTML code used to construct the above page. 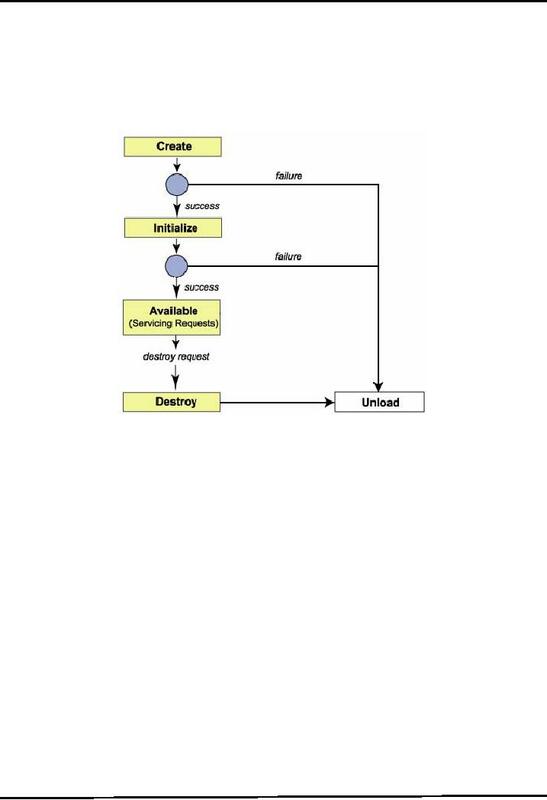 <BR> <INPUT TYPE="submit" value="Submit Form"> <INPUT TYPE="reset"
becomes the part of request body and activates doPost() method of the servlet. will be transmitted to this URL. paramapp is the name of web application created using netBeans. formservlet is the value of <url-pattern> defined in the web.xml. The code of web.xml is given at the end. The NAME attribute is set to "myform" that helps when the same page has more than one forms. However, here it is used only for demonstration purpose. extracting the values entered into these text fields. 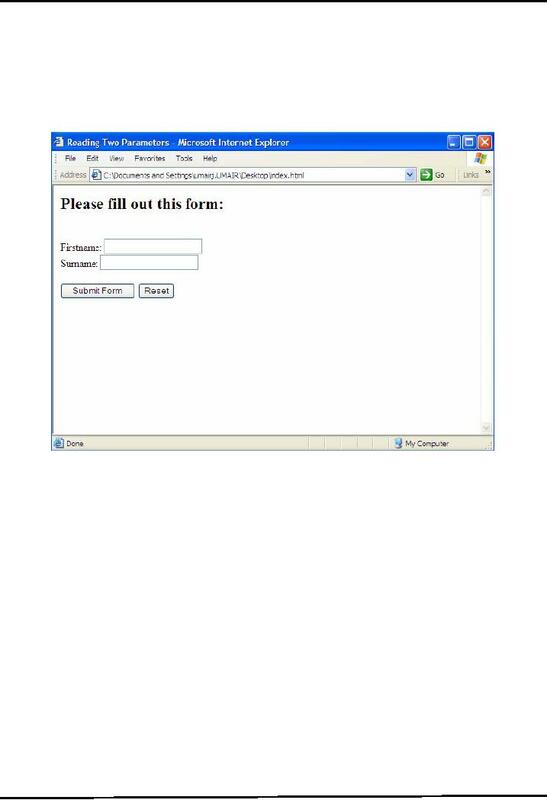 Now lets take a look at the servlet code to which HTML form data is submitted. We started the code with importing three packages. HttpServletResponse, ServletException and IOException classes. we only need to override doGet()Method. 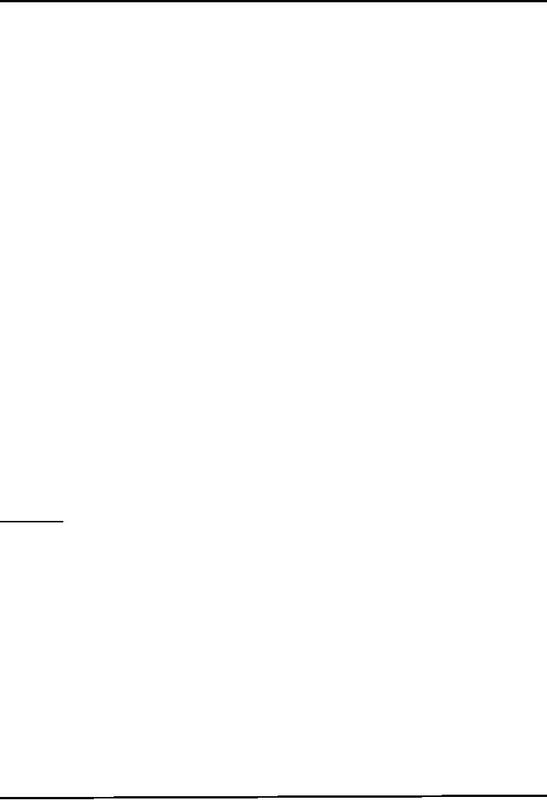 (out), the names are printed with appended "Hello" that becomes visible in the browser. page. You can see it is exactly the same as mentioned in <url-pattern> tag.